When Mark went to NatWest Bank to ask for a loan he was rejected and told, instead, to apply to Frederick’s. For Mark, it was the best thing they could have said - their advice was to make all the difference to the future success of his business. 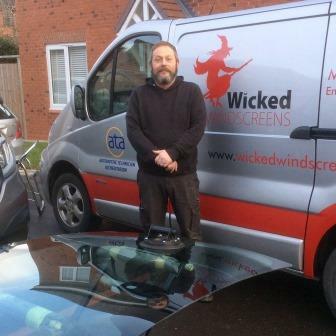 Mark had worked 13 years for a windscreen repair company when his boss sold up and moved away. Initially he lacked the confidence to go on his own, but eight months later decided to do so. His decision left him with the need to raise money to buy a van and tools and to deal with other legal issues that had arisen from the company sale. Frederick’s have been ‘fantastic’ he says, loaning him £7,000, offering legal help to sort out his issues and giving him a business mentor to keep him on track and boost his morale. ‘Even as a sole trader, I’ve never felt I was on my own,’ he explains. Mark enjoys being his own boss even though it’s hard work - six days a week fixing windscreens and then sorting out the paperwork. But it’s all paid off – he finished his loan repayments in three years and now and his accountant is encouraging him to save for a pension to make the most tax efficient use of his income.